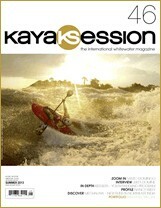 Lightweight kayaks have arrived in Europe! 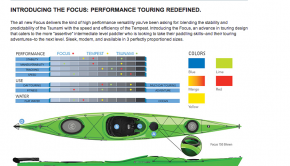 With the demand for lightweight thermoform kayaks growing, Hurricane Aquasports and Gatz Kanus will be opening a warehouse in Germany to better service our European dealers and customers. 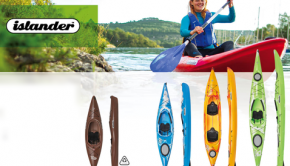 At Hurricane we produce extremely lightweight, durable, rigid performance kayaks out of gorgeous Trylon plastic, and while our Santee series sit-insides have been widely popular for years, our new Skimmer sit-on-tops are defining fast, light, and beautiful in the recreational SOT market! 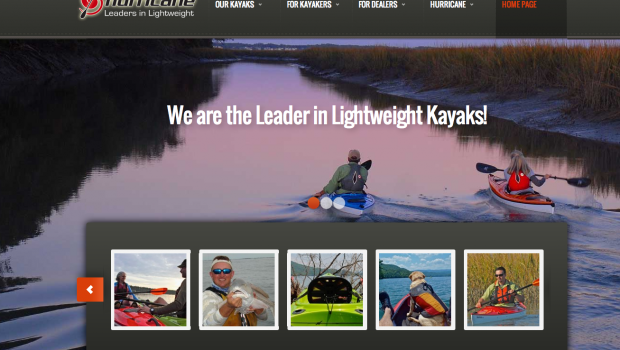 But Hurricane’s not just a recreational kayak company. We have new designs on the horizon in our performance and day touring categories, including a redesign of our popular Tracer 165 which will come in two sizes in 2014. Trylon is lightweight. In fact, our boats weigh an average of 10 pounds less than comparable boats. Think about it…you won’t get a hernia strapping boats on the racks. And if you’re a female paddler, you don’t need steroids just to get your boat to the water. • Trylon is rigid. 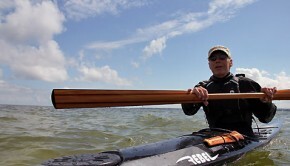 Hurricane Kayaks have very little flex, which translates into good news when you’re on the water. Think efficiency. • Trylon is gorgeous. Our hulls sport a beautiful, high-luster appearance you’d swear was composite. But unlike composite, Trylon hulls won’t fade or turn brittle in the sun. Like we said, gorgeous.• Tylon resists warping. Our hulls retain their shape forever without oil canning. If a polyethylene manufacturer makes that claim, he’s been in the sun too long. • Trylon reduces friction. More glide. Less drag. Equals more fun. End of story. • Trylon requires little maintenance. A Hurricane hull is easy to keep looking good and paddling hard. And if you need to make repairs, Trylon is easy to fix. We’d rather you spend time on the water than time in the shop.